Minneapolis is abundantly rich in water. It lies on both banks of the Mississippi River; it has twenty lakes and wetlands; and it is threaded throughout with creeks and waterfalls. The city is abundantly rich in money, too, with the country’s fifth-highest concentration of Fortune 500 companies. Minneapolis, as well as St. Paul, its twin city, is abundantly rich in culture, as well. It is second only to New York City in terms of live theatre per capita; it has one of the country’s best Arts Districts; it is America’s third most literate city; and it has a rich and varied musical history. Native Americans were Minneapolis’ first inhabitants and their ancient songs and rhythms were the first ones to echo throughout the arboreal landscape. Immigrants from France, Germany, the British Isles, the Slavic countries, Central Europe, and Scandinavia all brought their folk music from their homelands, in turn, and, over time, those ethnic musical strains influenced and developed into modern American folk music. Bob Dylan, perhaps the 20th century’s most important and prolific folk-rock performer, hailed from Hibbing, a town less than 200 miles from Minneapolis, where Dylan also lived for a while, while attending the University of Minnesota (UNM). Another musical performer who helped put Minneapolis on the musical map was the soul singer, Prince, who debuted in the city in 1978. The son of a jazz musician and a singer, Prince was the architect of the Minneapolis Sound, which was a funk, rock, synthesizer, and disco-influenced style of R & B. Other notable musicians who hail from Minneapolis include guitarist, Leo Kottke; the blues band, Koerner, Ray & Glover, who met as students at the University of Minnesota; Yanni, who played keyboards and synthesizers in several Twin Cities rock bands; pop singer Bobby Vee, who recorded his first his single for the Minneapolis-based Soma Records; and the bands Hüsker Dü, and The Replacements with frontman Paul Westerberg - both important contributors to the alternative rock boom of the 1990s. Some of the Twin Cities' well-known musical venues include the First Avenue Nightclub in downtown Minneapolis, the Aqua Nightclub and Lounge, the Venue, and the Fine Line Music Café. The Myth Nightclub and the Minnesota Music Café are both in neighboring St. Paul. Large venues for popular, national, music acts include the Target Center, the Xcel Energy Center, and the Northrop Auditorium on the campus of UMN. 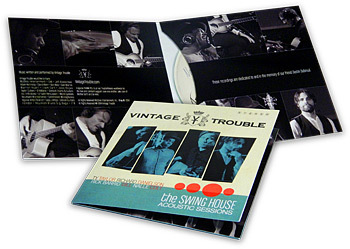 Venues, clubs, and lounges are great places for musical artists to sell their work to their fans. 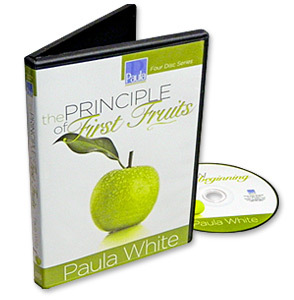 But in order to do that, they first have to have their recordings reproduced and packaged professionally and affordably. And that’s where we come in. 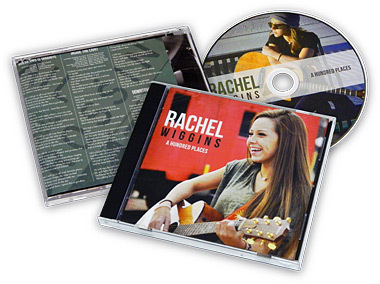 At Bison Disc, we make the Jewel Cases, Wallets, Sleeves, Jackets, and Digipaks that house and present the very music CDs that we also duplicate and replicate for our clients. Also important to Minneapolis is classical music. The Minneapolis Symphony Orchestra, later renamed the Minnesota Orchestra, was founded in 1903. In the 1930s, conductor Eugene Ormandy helped make it the most-recorded orchestra in the United States, at the time. Today, it is renowned as one of the world’s greatest symphony orchestras, performing regularly at Orchestra Hall in Downtown Minneapolis. The Saint Paul Chamber Orchestra is the only full-time professional chamber orchestra in the country, and for 42 years, until 1986, the Metropolitan Opera was in residence at Northrop Auditorium during its spring tour. Other classical music venues in Minneapolis are the Orpheum Theatre, the Pantages Theatre, and the State Theatre. St. Paul is home to the Ordway Center for the Performing Arts. In 1907, the MacPhail School of Violin opened its doors. Today, the MacPhail Center for Music, headquartered in the Mills District of Downtown East, Minneapolis, employs instructors from all over the world who teach classes on 35 different instruments to more than 7,200 students each year at 45 different locations. The state's educational system provides comprehensive programs in music education, and the nation's largest public radio network broadcasts classical and other music programming regionally and across the country. Jazz has been an important part of the city’s music scene since World War II, when the Andrew Sisters, a singing trio from Minneapolis, recorded their swing vocals, including such hits as the “Boogie Woogie Bugle Boy,” and "Bei Mir Bist Du Schön." Today, thousands of jazz performances take place each year in the Twin Cities. Gospel, blues, rock and roll, punk, hip-hop, and electronic dance music, as well, all have their performers and audiences in the City of Lakes. Minneapolis is a film-lovers town. The Film Society of Minneapolis/St. Paul is Minnesota’s foremost film exhibition organization. Each year, it presents the best international and independent films to over 75,000 Minnesotans through its International Film Festival, its numerous other film series, and its 365-day-a-year nightly programming. These days, you don’t have to have a large 35mm. film projector in order to show a film at a local festival. DVD, and especially Blu-ray technology, has made it possible to showcase films via a much less expensive, but equally expressive, format. At Bison Disc, we duplicate, replicate, package, and ship DVDs and Blu-ray Discs. We also make attractive box and collector sets to keep films safely stored in a home or organization library. Several well-known films that were shot in Minneapolis include Prince’s Purple Rain (1984), The Mighty Ducks (1992), Contagion starring Matt Damon (2011), and A Prairie Home Companion (2006), a big screen adaptation of Garrison Keillor’s popular public radio broadcast, filmed by director, Robert Altman in the Fitzgerald Theater in St. Paul, the usual venue for the weekly radio show. The biggest movie to be made in Minnesota in several years, and currently being filmed in the Twin Cities, is Wilson, starring Woody Harrelson and Laura Dern. And although the popular TV sitcom, the Mary Tyler Moore Show, was actually shot on a Hollywood sound stage, the fictional TV station where Mary Richards worked, WJM, was set in downtown Minneapolis, and the house where Mary supposedly lived was actually a real three-story Victorian on Kenwood Parkway. For more than ten years after the production ended in 1977, the house continued to attract 30 tour buses a day – much to the consternation of its owners.